It is two years after the pandemic they called “The Fall”. Mercy Dawes should have died in Halifax, Nova Scotia. Part of her wishes she had died back in New York City along with all the others. But she is still alive, hostage to the technology implanted inside her by Cobalt Biotech and the New State Army. She is the super weapon the NSA wants to use against the relentless tide of undead. The undead are changing and evolving fast. In a race against time Mercy is forced to survive and fight against untold horrors. How much more can she sacrifice? How many more have to die? How long will it take to reach her one last hope; the woman in Galveston named “Constantine”? 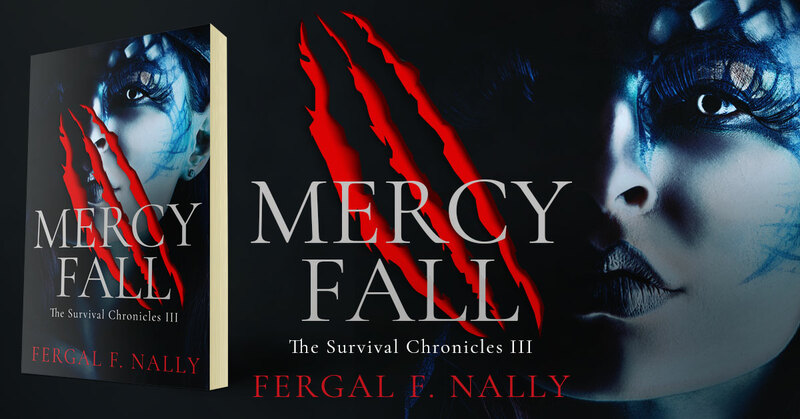 This entry was posted in Showcase Spotlight and tagged Fergal F. Nally, Mercy Fall. Bookmark the permalink.